War on Crime policies of the ‘60s have consequences that can be seen in today’s police militarization and mass incarceration. The United States comprises 5 percent of the world’s overall population, but 25 percent of its prison population. How this state of mass incarceration came about is the subject of Hinton’s deeply researched and thoughtful work From the War on Poverty to the War on Crime. Josh Bloomberg’s narration gives it the respect that this important subject deserves. The origin of the world’s largest prison system is often linked to President Ronald Reagan’s War on Drugs, but Hinton argues that its source can actually be traced back to the bipartisan policies of Lyndon Johnson’s Great Society reforms of the 1960s. 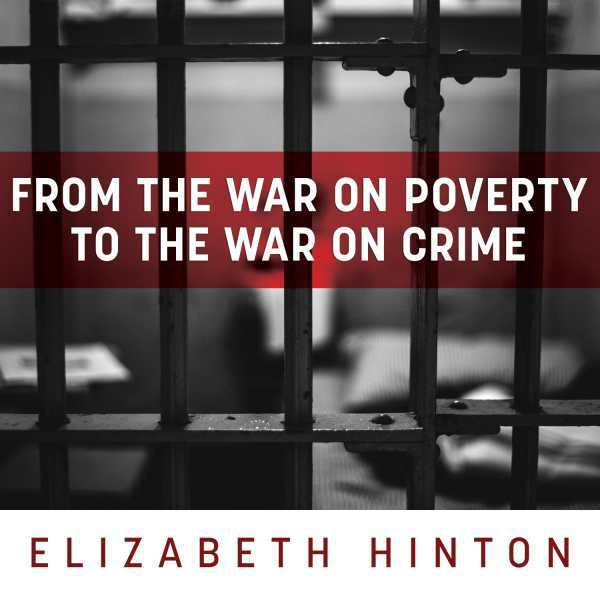 Hinton effectively shows how Johnson’s War on Poverty was quickly eclipsed by his War on Crime, which placed incentives on punitive actions. These policies have consequences that can be seen today, from the militarization of police to overrepresentation of people of color in the prison system. Bloomberg’s voice maintains the seriousness that this text requires without devolving into a lecturing tone. The recording is clear, with a professional sound quality. Bloomberg’s intakes of breath during pauses in sentences may be loud and distracting to some wearing headphones. Listeners should consider why they are interested in this book when determining if the audiobook version is right. The text is dense with information. If it is being used for research, the audiobook may not be the right choice. It can be harder for the mind to fully take in all the nuances of information at the speed with which books are generally read out loud, and there is no table of contents, index, or notes included. If listening for personal interest, Bloomberg’s steady pace and pleasant tone are a nice match for this important work.